With a privileged location , Tehran Grand Hotels are Located conveniently in the heart of the capital city. The hotels are perfect starting points for trips to most of the business&shopping districts, 45 minutes from Imam Khomeiny (IKA) international Airport and 20 minutes from Mehrabad domestic Airport. The entire hotel has WLAN internet access. Our coffee shop located at the lobby provides the perfect place to socialize in a sophisticated atmosphere. Hot and cold beverages,delicious cakes and fresh 100% Arabica coffee leave no wish unanswered. 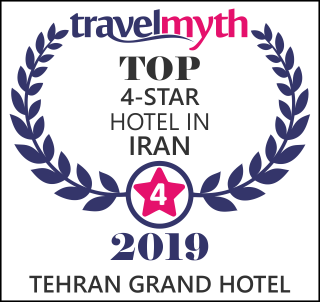 We at Tehran grand hotels , commit ourselves towards exceeding guest expectation and ensuring total dedication to conserve environment by continually and enthusiastically creating awareness through education and participation of team members, guests and the community. Our team members are always ready to provide friendly, individualized service to our guests.We’re also happy to offer a range of services to meet your needs. From booking to checkout, we’re here to make your stay as enjoyable as possible.